If you are facing a glaucoma diagnosis, the most important thing to remember is that you are not alone. More than 2.2 million Americans aged 40 and older have glaucoma. Don’t limit your life because of glaucoma, as most glaucoma patients never go blind. If diagnosed early, you may not lose much vision at all. In fact, for the majority of glaucoma patients, life does not change with the exception of more frequent doctor’s visits and proper use of medications. Know that there is a tremendous amount of ongoing research for glaucoma and many supportive resources for patients. As a glaucoma patient, you should first understand how important it is to keep all of your appointments withyour eye doctor. Every appointment with your glaucoma doctor gives him or her extremely valuable information on how to effectively treat your glaucoma. Frequent appointments may seem insignificant to you, but they are extremely significant for your vision. Your doctor may ask you to return weekly or monthly until the glaucoma is under control. For the patient with glaucoma, it is often difficult to accept the diagnosis because most types of glaucoma progress very slowly, often without symptoms. Educate yourself as much as possible about the disease. The better informed you are of your condition, the easier it will be to manage. If you come across something you don’t understand, write it down. Doctors welcome patients with questions. They are usually eager to listen to any concerns you may have. If a medication is causing unwanted side effects, let your doctor know. There may be many alternatives. Take your medications exactly as prescribed. Schedule your medications around daily activities, such as brushing your teeth or around meal times so that it becomes a habitual part of your life. 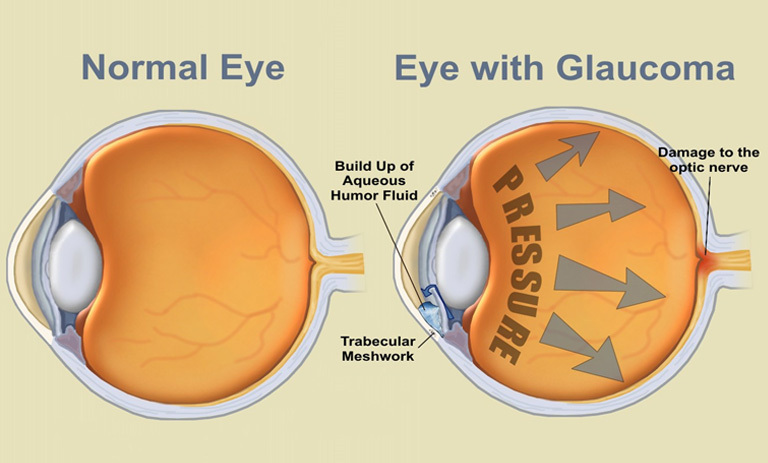 Missed doses of your glaucoma medications could elevate your eye pressure and worsen your glaucoma. Also, be sure to let your doctor know about any other eye drops or oral medications you begin taking, as some medications should not be taken together. Remember that you are not alone. Find ways to talk to others about your condition. A medical diagnosis can be emotionally disturbing, especially a diagnosis of a chronic medical problem that may require a lifetime of treatment. Talking about your condition with family members, friends, church members or support groups can make unbelievable differences in your emotional health. If you feel that your glaucoma is becoming more severe, pay attention to your instincts. Certain activities, such as driving or playing sports, may become more challenging for you as time goes by. Loss of contrast sensitivity, problems with glare, and light sensitivity are some of the possible effects of glaucoma that may interfere with some activities such as driving at night. If you find it difficult to see at night, consider changing your driving habits or letting your spouse or friends do the driving. Putting your personal safety first may require you to rearrange your daily schedule. But it will be worth it for your own safety and the safety of others. Action Health Staffing is honored to serve those with home care needs. If you’re interested in creating a custom care plan that mirrors your wishes and reflects your needs, give us a call.